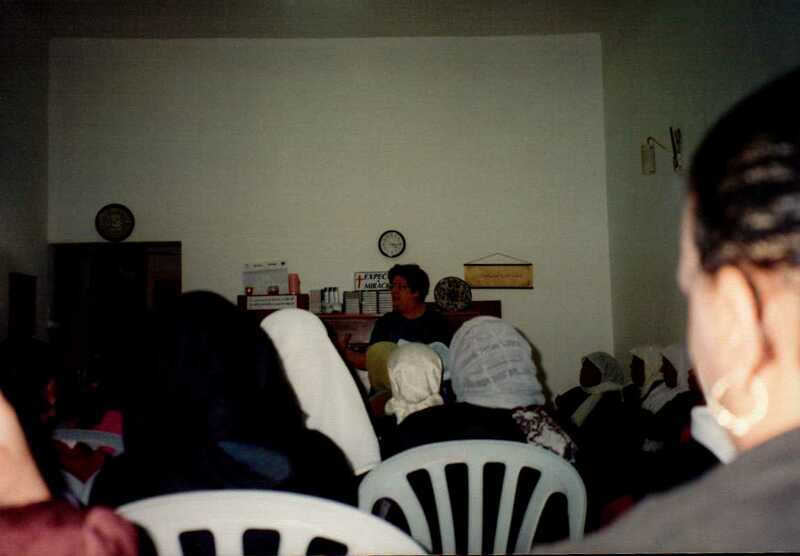 I taught many Bible Studies in different homes while in Jericho. However the biggest one was at the Jesus House on Saturday morning at ten o’clock. We would have ladies that showed up at eight in the morning for the study at ten. We kept the door locked until we had everything set up for the study. We had to set chairs up so they would have a place to sit. Sometimes there were as many as twenty to thirty women out on the porch before we opened the doors. They really liked to fellowship with one another. We could hear them laughing while we were inside the house. Once they came in they found a seat and continued to talk. When I asked them to quiet down they did and if there was anything I needed to tell them I would at that time. Kind of like announcements at church. Most of the women did not know how to read. When the lesson began you could hear a pin drop. I would read a passage from the Bible and then the interpreter would read the same passage from the Arabic Bible. This was to let them know the Bibles were alike. After that I would begin to explain what that passage was saying to them. They loved it. After the study I would ask who wanted prayer. Of course most of them did even if it was just for the blessing of the Savior. Many had physical problems and we prayed for healing. We saw God answer many prayers. I couldn’t end this without saying a big THANK YOU to my interpreters. There were two of them and one of them was Nasser. He came to know the Lord at the Jesus House and was a dear friend. 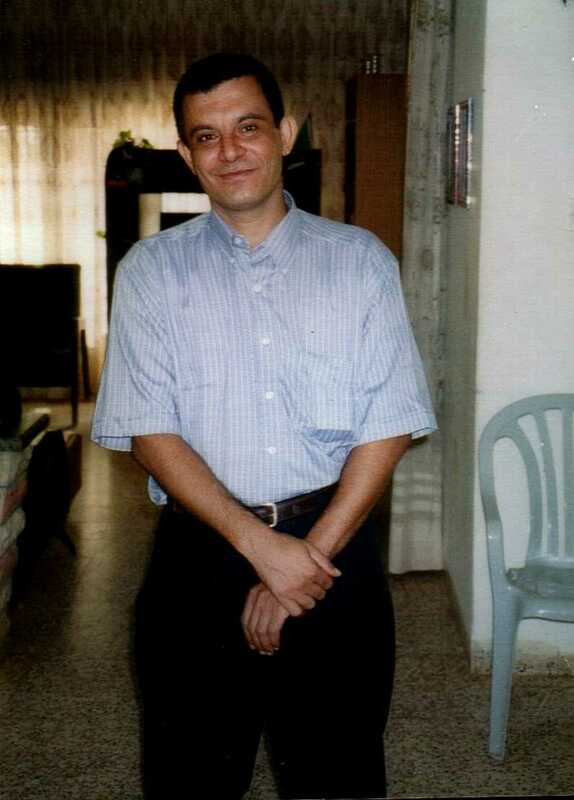 He went home to be with Jesus several years ago. The other one is Suheil. He was raised in the Orthodox Church. He came into a living relationship with Jesus Christ and is always ready to serve in any way he can. To this day he is ready to serve the Lord in any way. Suheil. This is not his baby.